Our mission is not some abstract ideal, but a pragmatic goal that inspires us and drives us forward. We exist to help people achieve their most cherished financial goals and confidently embrace their wealth, knowing it is secure for them and their family. That’s our mission. Although it may seem simple, it’s not necessarily easy. After all, people lead complicated lives these days, and we’re living in a time of great financial volatility and complexity. We seek to fulfill our mission by first examining every facet of your life that may affect your wealth: family, business, lifestyle, retirement, health, philanthropy, dreams, and fears. We develop an understanding of how you live and aspire to live in the years ahead. We learn what matters most to you and your family. We also learn how you feel emotionally about your wealth. We discuss such vital matters as raising children with affluence, the death of a spouse, retirement, and the value you place on financial security and peace of mind. We also conduct a thorough analysis of all your existing assets. Then, and only then, are we able to craft a financial plan tailored to pursue your unique objectives. This plan meshes fully with your life, helping give you more restful nights knowing you have an approach in place designed to make market fluctuations irrelevant to your financial security. We’re a wealth management firm that combines financial sophistication with down-to-earth care. RZH Advisors is a privately owned, independent wealth management firm passionate about helping empower people to confidently enjoy their wealth, knowing it’s protected from the financial uncertainties of life. To accomplish this, we immerse ourselves in the lives of our clients and strive to know them far better than other firms. As a result, our approach to managing wealth helps lead to decisions that address every aspect of a client’s life. We pride ourselves on meticulous service, obsessive attention to detail, and the deeply felt manner in which we care for our clients. We can provide every client with the hands-on attention of our principals: Carl Zuckerberg, Dana Hanson, and Spencer Cooper. wealth, but the freedom and opportunities it provides. Driven by a desire to meet the specific goals of each client, we are rigorous in our approach and small enough to provide every client with personalized attention and care. Importantly, we’re determined to remain that way. In the end, that enables us to better serve the clients we embrace. Our clients are typically those whose lives are in transition and seek the financial calm we provide. It’s been said that a company’s clients say more about it than any marketing literature possibly can. Our clients tend to be family oriented and care not just about the extent of their wealth, but the freedom, opportunity, and security it provides. Our clients include those who’ve built businesses, achieved significant corporate success, received wealth through an estate plan or marriage settlement, and those whose wealth is multi-generational. Our clients tend to view their assets as a non-renewable, irreplaceable resource. This means financial decisions must be made prudently and in a manner that enables them to confidently maintain their lifestyle and legacy. Major transitions in life can be a time of upheaval. As people experience these events—the passing of a spouse, divorce, retirement, the sale of a business—there’s often an increased need for financial order and stability. Our prudent approach to planning and investing appeals to people at key financial junctures where they can’t afford to make a mistake. We know the return of assets is often more important than the return on assets. Long before it became common for wealth management firms to market to women, RZH Advisors was attracting women without marketing to them at all. Today, many of our clients are women, most on their own financially for the first time through the passing of a spouse or divorce. At RZH Advisors, women find not only the expertise required to grow and preserve their wealth, but a genuine, compassionate understanding of their needs and concerns. In part, we believe our appeal is due to the emphasis we place on helping all our clients live with freedom from financial fear. We strive to provide clients with a wealth management experience far superior than they’ve had in the past. 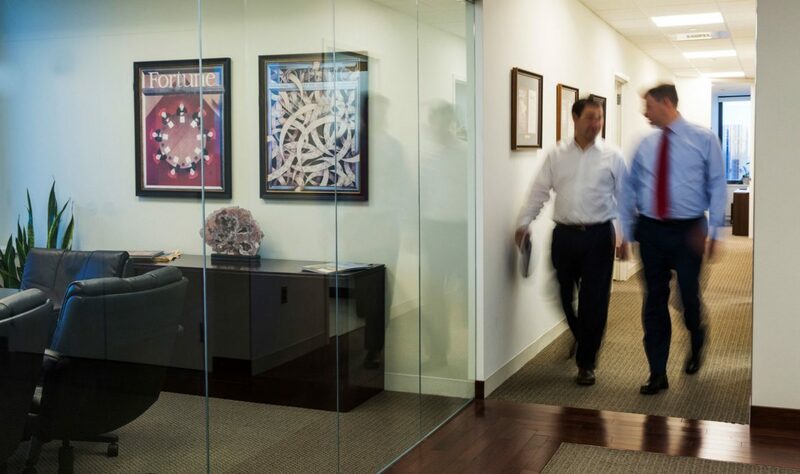 There’s no shortage of wealth management firms promising excellence these days. To help you decide if RZH Advisors is the one most suitable of meeting your particular needs, it will be useful to know what differentiates us. At a time when personal service, attention to detail, and genuine caring for clients seem to be an anachronism, at RZH Advisors we’ve made them a priority. Our goal is to provide every client—including spouse, children, and sometimes even grandchildren—with the time and attention needed to meet their needs. We do this not just at the start of our relationship, but ongoing. And we do it proactively. We’re completely independent and owned by our principals, so we have no pressure to meet profit goals, no sales incentives, no conflicts of interest, and no outside owner or shareholders to satisfy, only our clients. This helps make us stable and means the same team can work closely with you for a long time. To some extent wealth management is a chemistry business. We believe we have the right formula. We invest side-by-side with our clients, placing our own funds in every single investment in which we place our clients’ assets. So we never recommend any investment in which we don’t have complete confidence. Importantly, we don’t take on clients and then hand them off to mid-level or junior personnel. Every one of our clients is served by one or more of our principals—as will you, when you become a client. Also important, we limit the number of new clients we accept each year. This helps ensure that we continue to provide the high level of personal service our clients deserve. The vast majority of our new clients come to us after hearing about us from existing clients, or from their estate attorney or accountant. Those who refer us know we take no shortcuts and cut no corners for the sake of expediency. If there’s anything we can do to assist our clients, our attitude is simple: We do it.